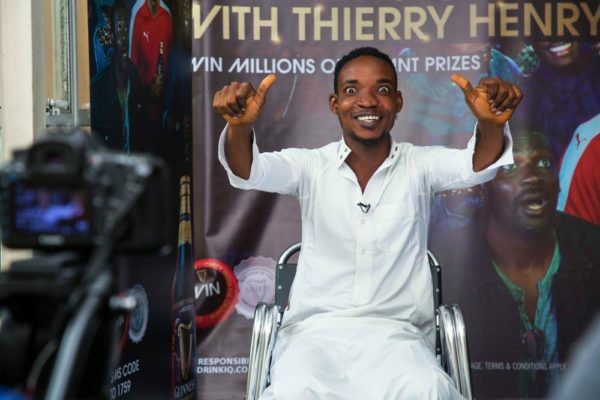 Over 135 thousand winners have emerged from the Guinness “#BeAFrontRowFan” National Consumer promo which was launched on Monday, October 23rd, 2017. 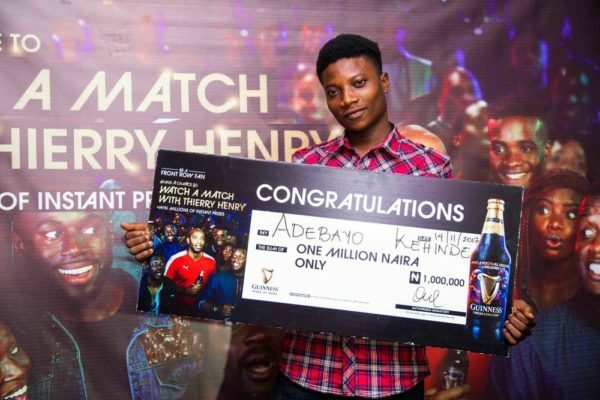 Among the winners are Yakubu Olumide and Adebayo Kehinde who won One Million Naira each from the “Be A Front Row Fan” promotion. Winners were selected during the weekly draw that was held on Tuesday, November 7th, 2017. 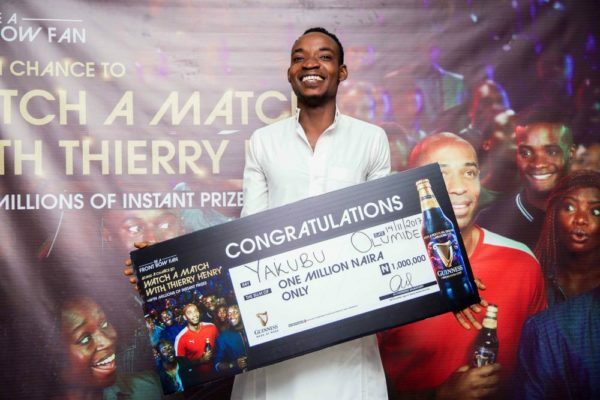 Over one thousand consumers have also been rewarded with Five Thousand Naira (N5,000) cash prizes and airtime worth millions have also been given away to consumers since the kick off of the promo. 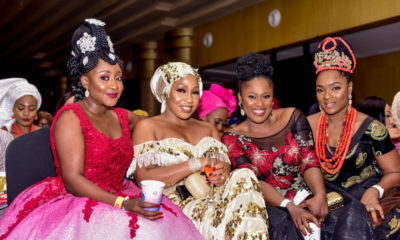 The #BeAFrontRowFan promo which will run for Fourteen (14) weeks, will give Fourteen (14) lucky consumers a chance to win One (1) Million Naira each. 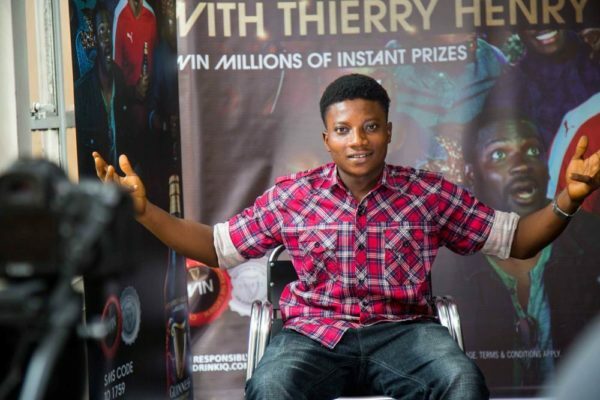 Thousands of people also stand a chance to win Five Thousand Naira (N5, 000) and Millions in Airtime. 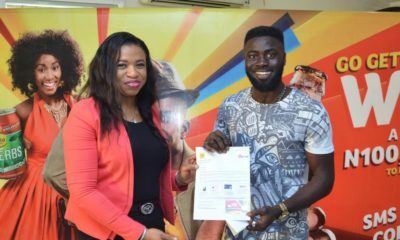 Speaking on the National Consumer Promo, Nike Adebola, Marketing Director, Guinness said that; we are very happy that the first two weeks of the draws have been concluded and the first Two Millionaires (2) have been rewarded. 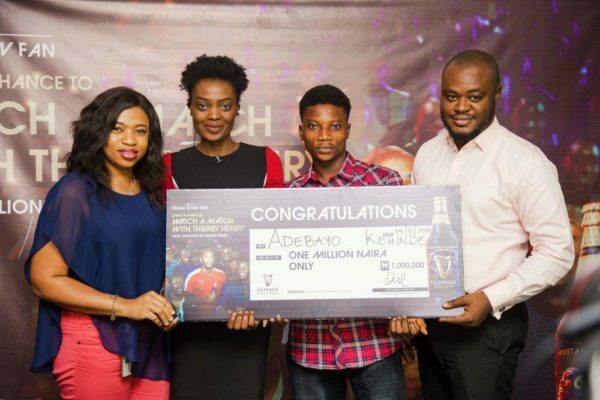 At the launch of the promo, we announced that every week, one lucky winner will win One Million Naira (N1, 000,000). 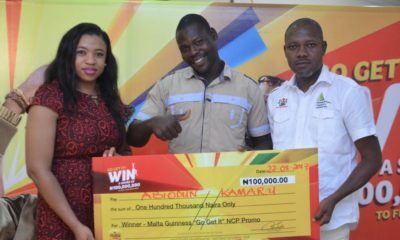 Furthermore, consumers will stand a chance to win Five Thousand Naira (N5, 000) coach, plus airtime worth millions of Naira daily.